We’re continuing with our Abortion Conversations interviews, which were held following the recent Body of Work: Abortion Conversations exhibition. 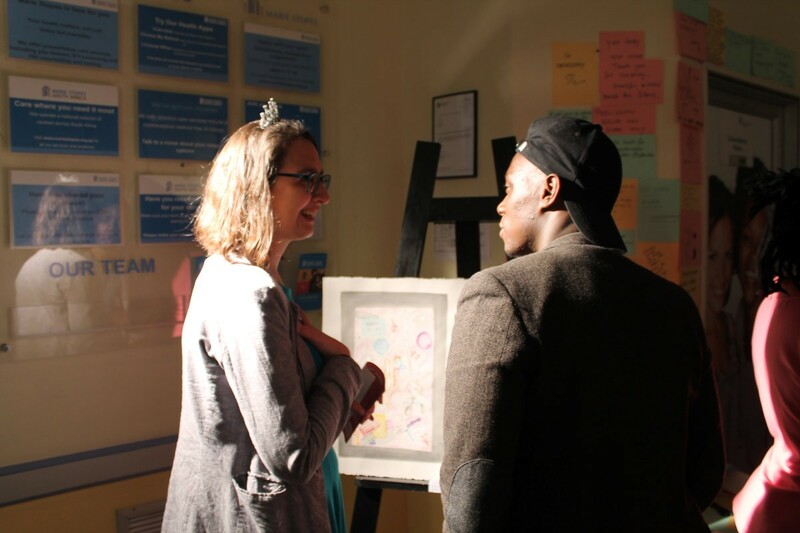 The exhibition was hosted by Marie Stopes in conjunction with Amnesty International and EASI, the End Abortion Stigma Initiative, as part of the city’s First Thursday initiatives. Body of Work: Abortion Conversations features artists who have developed pieces specifically on the topic of abortion. Here, artist Gillian Basson discusses her artwork. The onus constantly falls on women to make contraceptive choices, says Gillian Basson, and this was the message she wanted to get across in her artwork. “My artwork is about the choices facing women because contraceptive decisions are always placed on our shoulders,” says Gillian, referring to her piece. It depicts abortion pills, morning-after pills, a pregnancy test and a hand with two tablets in it. Gillian uses the trains in Cape Town, and regularly sees stickers and flyers promoting illegal abortion providers. “It really annoys me because I know it’s unsafe and I’m one of the lucky few who would have the support of my community if I were to fall pregnant and didn’t want a kid. At Marie Stopes, we offer safe, legal abortions up to 20 weeks into pregnancy. If you’re considering your options, you’ll always find information, support and understanding at our centres. Learn more about the abortion services we offer, or find your nearest Marie Stopes centre and book an appointment online.